Published on 11 April 2012. I took a slight detour from my usual commute today to rubber-neck at the Hartlepool nuclear power station. The plant crops up from time-to-time in my everyday work, especially (as well you might imagine) when discussing emergency planning. Hartlepool’s plant produces about 3% of the UK’s electricity, and is already 3 years or so past the end of its designed lifespan. It’s been given permission to operate until 2019, by which time it’ll be a decade “out of date”. Permission has been given for it to be replaced by a more modern variant, but with the Government’s nuclear policy looking a little confused at the moment, goodness knows whether that will actually happen. This station is especially interesting as it’s one of the world’s nearest nuclear plants to a residential area: Seaton Carew, the small but attractive seaside town where John “canoe-man” Darwin faked his own death, is little more than a mile away. The Beeb has some interesting photos from inside the power station; or, if Teesside industry is your thing, you might want to see my photo from yesterday. 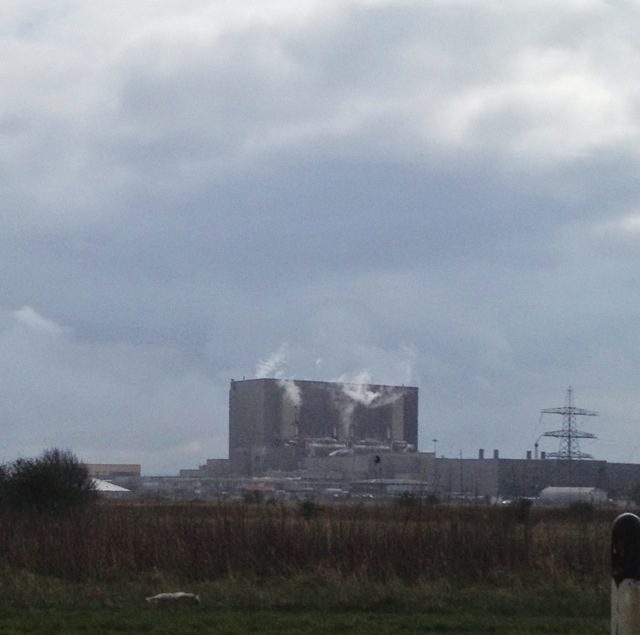 This 1,599th post was filed under: Photo-a-day 2012, Hartlepool, Nuclear Power.